We had to have morning recess inside today because of the rain, but by lunch time, the weather turned in our favour. 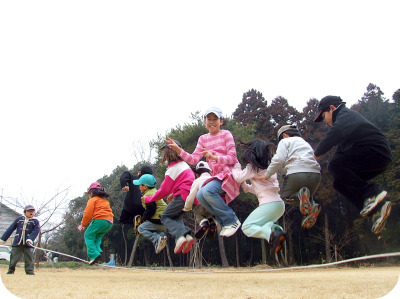 Recently, we have been trying to fit as many people as possible into our skipping game. Here we managed to get nine of us in the air at once!